Aqua, Sodium Coco Sulfate, Rosa Damascena, Coco Glucoside, Cocamidopropyl Betaine, Glyceryl Oleate, Betaine, Sodium Chloride, Hydrolyzed Wheat Protein, Sodium Benzoate, Plantago Major, Aesculus Hippocastanum, Linum Usitatissimum, Benzyl Alcohol, Potassium Sorbate, Citric Acid, Brassicyl Isoleucinate Esylate, Brassica Alcohol, Lactic Acid, Fragrance, Limonene**, Linalool**, Geraniol**, Farnesol** Citronellol**, Citral**. 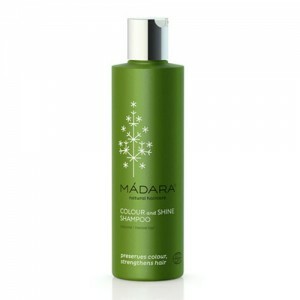 **from Natural essential oils. 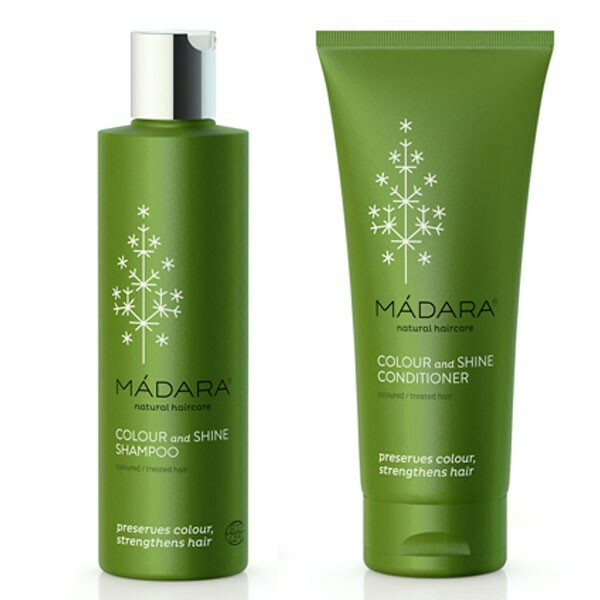 Massage Color & Shine organic shampoo onto wet hair. Lather and rinse. 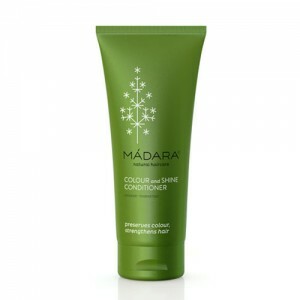 Follow with Madara Colour & Shine conditioner.